The WALK IN WARDROBE™ is a pop-up clothes swap with a difference: There are no tokens, no redeemable vouchers and no rejections. You just have to try on first. If it fit’s you it’s yours! 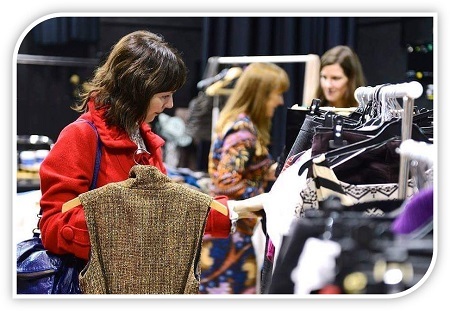 In contrast to conventional swap/swishing events, at the WALK IN WARDROBE™ you are not constrained to swapping like for like, there are no tokens, no redeemable vouchers and no rejections! As long as it fits and suits you, it’s yours (not your friend, aunt or neighbour) irrespective of how much or little you brought along. You can browse through the rails, arranged by seasonal colour characteristics and discover what a coherent wardrobe could look like. In our mission to slow down the fashion industry and encourage a mindful approach to shopping, you can find “new-to-you” pieces for yourself from our well-curated collection of preloved clothes. LET’S REDUCE TEXTILE POLLUTION. Let’s find a new home for all those beautiful clothes that were no longer right for their previous owners. Let’s use up what we’ve got collectively, rather than buy new all the time.